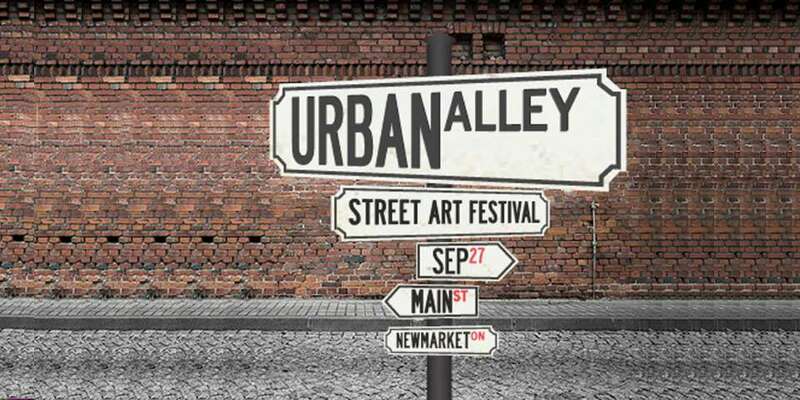 Ladies, gentlemen and children of all ages...step right up to Newmarket's Riverwalk Commons on Sunday, September 27 from Noon to 6 p.m.for a full day of organized pandemonium, uncontrollable laughter, and non-stop chaos resulting in a ton of family fun at Newmarket's Urban Alley Street Art Festival! This event is free of charge. In the case of inclement weather, the location will be moved inside Newmarket Community Centre & Lions Hall. This year's event will feature outdoor buskers and stage performers including jugglers, magicians, puppeteers, musicians, comedians, theatre performances and much more. Don't forget to bring your smiles and laughter- you will need them.